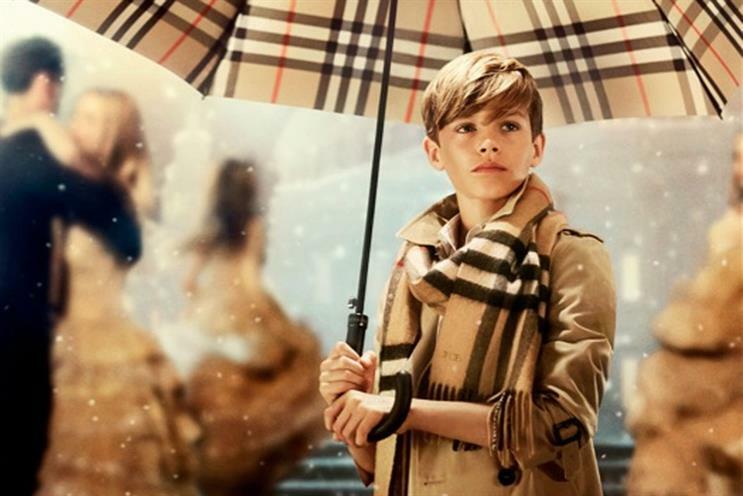 Burberry has launched its first global Christmas campaign, with a film starring Romeo Beckham, the 12-year-old son of David and Victoria. In the ad, directed by Christopher Bailey, the chief creative and executive officer at Burberry, Beckham brings together a couple played by the models Hannah Dodds and Anders Hayward through Burberry gifts. Featuring 50 dancers who perform a dance inspired by classic musical films in front of a theatrical London street backdrop, the ad is designed to reinforce the role giving gifts can have in bringing people closer together. The campaign will include outdoor advertising, cinema, and social media for the next three months in a bid to generate interest in Burberry. Bailey said: "This festive campaign is a celebration of everything we love at Burberry; the trench coat, the cashmere scarf, incredible music, our British weather, and working with great and talented people." The songwriter Ed Harcourt wrote the score of "From London with love", a song called "The Way that I Live" will be released in December. Harcourt performed at the launch of the campaign at the brand’s flagship store last night, an event attended by David, Victoria and Romeo Beckham, Sophie Ellis Bextor and the Downton Abbey actress Daisy Lewis.